This is an unusually craggy view of the highest of the Angletarn Pikes. 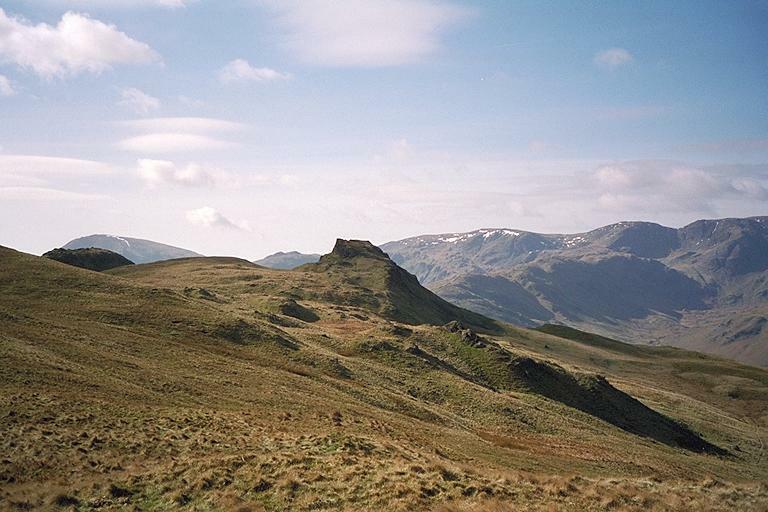 On the left of it on the horizon are Red Screes and Little Hart Crag; and to its right, Dove Crag with Hartsop above How in front of it, Hart Crag and Fairfield. Smaller version of this picture.